Besides great women’s fashion, ZALORA also has a pretty awesome range of menswear. Choose from an array of trendy clothing and accessories, bags and footwear for men. 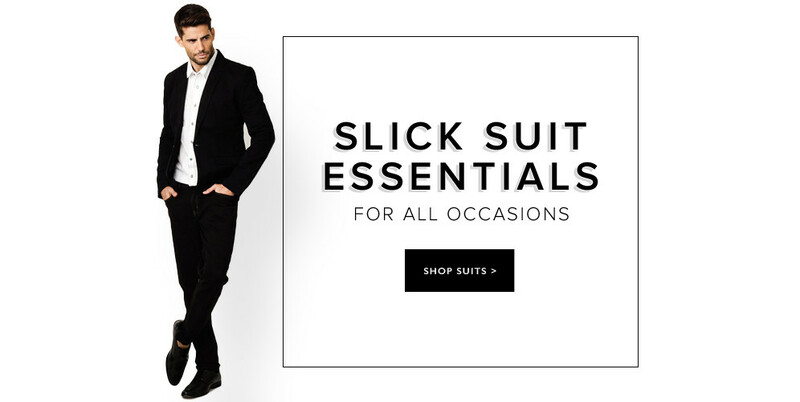 ZALORA now features a stylish collection of suits for men. Suit-up with the amazing selection from our store have all the women swooning over you. While suits and tuxedoes are similar, it is important to draw the distinction between these two pieces of clothing. While they are subtly different in appearance, the fundamental difference lies in the fact that suits are business or corporate attire while tuxedoes are for formal events like weddings or cocktail parties. While it may be alright to wear a suit in place of a tuxedo for a formal event, you should probably not wear a tuxedo in place of a suit for a business event. Browse through our collection of numerous fashion items for men and take your pick! ZALORA carries the best suits from a multitude of brands so start adding to your cart now. There’s no need to worry about sizes because with the detailed size chart that we provide there’s no way you can pick the wrong size. Even if you do, our excellent returns policy will save the day. We offer a variety of payment modes including Paypal, credit or debit cards, bank transfer and cash-on-delivery.